William Wordsworth penned down the beauty of Daffodil flowers after going through his sister, Dorothy’s journal about these flowers. Grade 8 students of Ekya School BTM layout attempted to write few lines on their recent observation in class on Daffodil flowers. The flowers are as yellow and bright as the sun. The flowers mix with its surroundings to make a pleasant view. The water reflects the blue sky, and the tall trees reaching out for it. 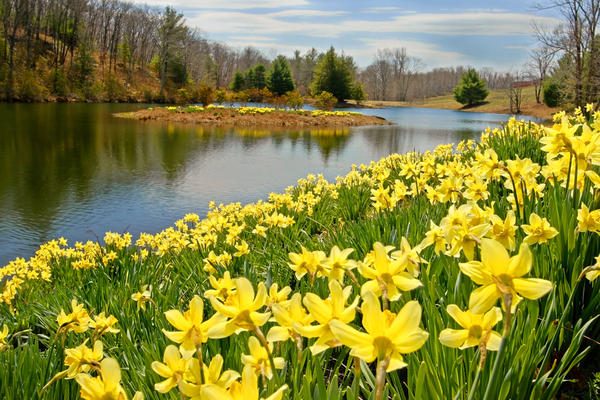 a landfilled with daffodil flowers! With a lush green coniferous background. Air filled with pure happiness. Is there something more better than this? So yellow, and so bright. Oh! It would make a pleasant sight. It could make gardens look fertile.